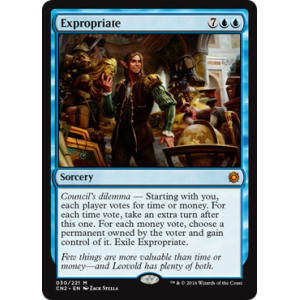 Council's dilemma - Starting with you, each player votes for time or money. For each time vote, take an extra turn after this one. For each money vote, choose a permanent owned by the voter and gain control of it. Exile Expropriate.